Whether you ride a cruiser or sport bike; are a weekend warrior or an everyday rider - when you choose Net Financial for your motorcycle insurance, you'll have access to motorcycle insurance policies with the coverages that meet your needs and the payment options that fit your budget. Net Financial works with recognized leaders in the motorcycle insurance industry offering competitive rates, money-saving discounts and outstanding customer service. We can provide fast motorcycle insurance quotes and can customize a motorcycle insurance policy specific to your needs. Our motorcycle programs offer features like custom parts and equipment, comprehensive and collision coverage, loss settlement options, and more. A customized motorcycle insurance policy takes just minutes. We have options when it comes to your motorcycle Insurance quote. Get an instant insurance quote including the option to buy your insurance policy, print your policy documents and print your insurance ID cards, using your internet connection. 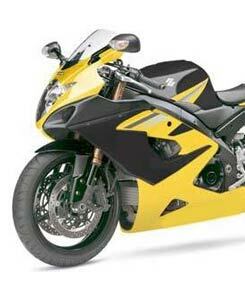 Get motorcycle insurance quotes from insurers offering the best coverage and the best rates. We'll go over the quotes with you and help you decide which option provides the coverage you need and the rates you want. Call us at (210) 402-9619 to start your quote. We offer a variety of motorcycle insurance coverages, including Bodily Injury and Property Damage Liability, Medical Payments, Roadside Assistance, and more. Choosing the right motorcycle insurance means sifting through the many motorcycle insurance policy options available. Net Financial provides the information you need to get the best motorcycle insurance coverage for your bike. From cruisers to scooters, we offer insurance coverage for all types of bikes. With Net Financial as your agent, you get an agent who is personal, local, and knowledgeable. We're available to answer your questions about your policy coverage, discounts you may qualify for and deductibles you may choose. Most importantly, as your agent, we can help you in your selection of insurance policy that fits your needs.